You can change the name on your licence by supplying certain documents to the MVR. Only original documents will be accepted. Copies or certified copies will not be accepted. or a deed poll certificate registered with relevant authority. To change from a maiden name to a married name, you need documents that link your married name and your maiden name together. Overseas marriage certificates, statutory declarations and commemorative marriage certificates will not be accepted as documents for evidence for name change. To change your name back to your maiden name, you need documents that link your married name and maiden name together. You can update your address and contact details on the MVR quick pay website. your customer ID number and your registration number. There is no fee to change your address on your licence. your licence is not suspended or cancelled. 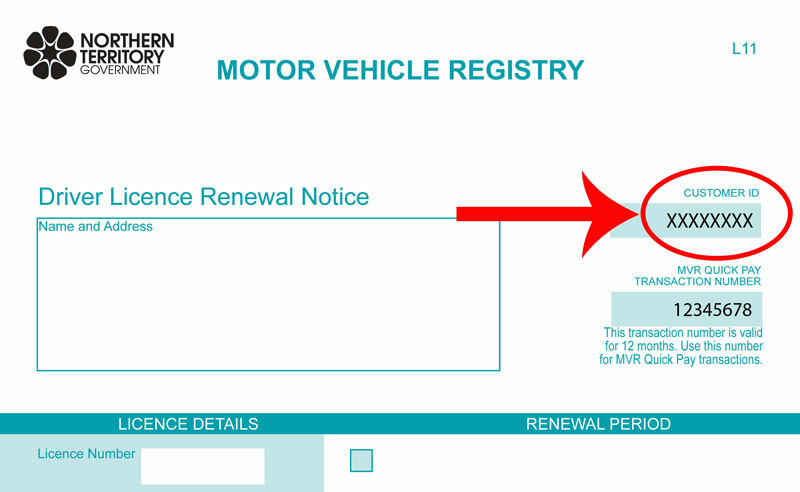 You can send your new address and contact details and a scanned copy of your NT licence to mvr@nt.gov.au. You can also change your details through a local participating Australia Post Office that provides MVR driver licence and vehicle registration services or visit your local MVR office.